With the evolution of technologies, healthcare organizations have propelled to a new, more prolific and sustainable trajectory. The rise and prise of cloud, automation, and other hi-tech platforms has also sparked the growth of Revenue Cycle Management (RCM) platforms, which allows hospitals, clinics, and physicians to streamline their revenue management. RCM companies are doing a commendable job in enabling billing staff of medical organizations to leave their traditional role of a mere ‘back office’ agent and become a vital source for augmenting overall efficiency—keeping veracious tabs on claims, payments, and revenue generation. With the global healthcare costs projected to reach more than $12 trillion in a couple of years, RCM companies are taking radical measures to ameliorate their solution's capabilities in keeping the revenue stream flowing. The RCM tools integrated within the infrastructure will allow healthcare organizations to effectively quicken the timeliness and accuracy of receivables processing, improve reconciliation of patient self-pays, streamline the account information update processes, and eliminate potential frauds. With cash flows declining, margins tightening, and bad debt increasing, RCM companies are leaving no stone unturned to maintain a steady stream of income for hospitals and clinics. In this edition of Healthcare Tech Outlook, we bring to you “10 Most Promising RCM Solution Providers 2015,” featuring most prolific vendors in the RCM space. The companies listed here showcase extensive business knowledge and innovative strategies combined with talent based across locations. A distinguished panel comprising of CEOs, CIOs, CMOs, VCs, and editorial board has selected the top players from over thousand companies. The listing provides a look into how RCM solutions for healthcare sector are put into use, so that you can gain a comprehensive understanding of which RCM solutions are right for your business, and how they can help you optimize your revenue management. 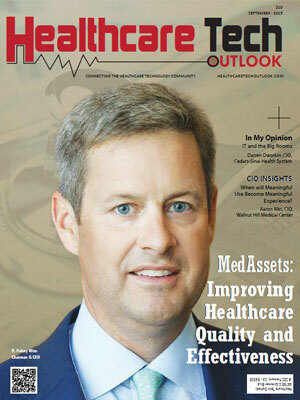 MedAssets is a healthcare performance improvement company that combines strategic market insight with rapid operational execution to help providers sustainably serve the needs of their communities. MediRevv provides innovative performance indicators that assist in accurate measurement of financial impact on the entire revenue cycle. Helping Federally Qualified Health Centers to maximize revenue and improve business processes.